A group of US cargo aircraft airdropped overnight some 50 tons of small fire ammunition and explosives to rebels in northern Syria’s Hasakah province, CNN reported Monday citing a US official speaking on condition of anonymity. MOSCOW (Sputnik) — The broadcaster claimed that this was a first step in a US effort to boost support to what the White House refers to as moderate opposition forces fighting regular Syrian troops loyal to President Bashar Assad. 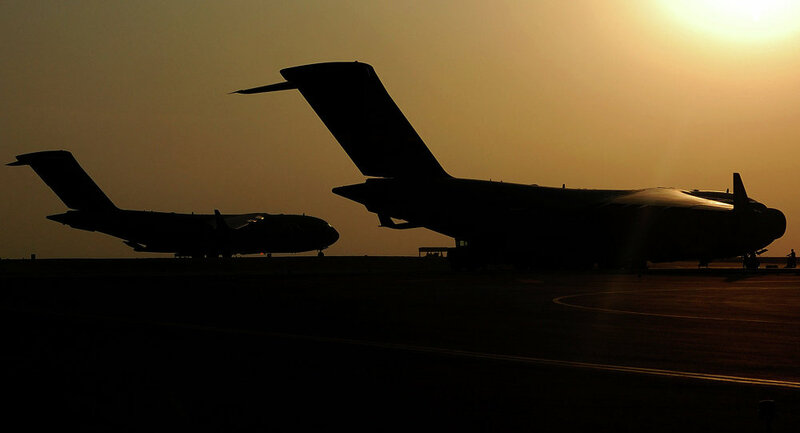 C-17 cargo planes dropped ammunition on 112 pallets to be retrieved by opposition fighters on the ground from a US-vetted group called by Washington the Syrian Arab Coalition. According to the CNN, the newly-named Syrian anti-government force was first mentioned by Christine Wormuth, policy undersecretary at the US Defense Department, during Congressional testimony in September. She said the group was being trained as part of a train-and-equip mission for anti-Assad opposition factions in Syria.